The album won multiple awards, including a Parents’ Choice Gold Medal and Grammy nomination, and was featured on NPR’s “All Things Considered,” “Good Morning America,” and “Katie’s Take” with Katic Couric. To date, more than 4,000 physical and digital copies have been distributed for free to patients around the world. 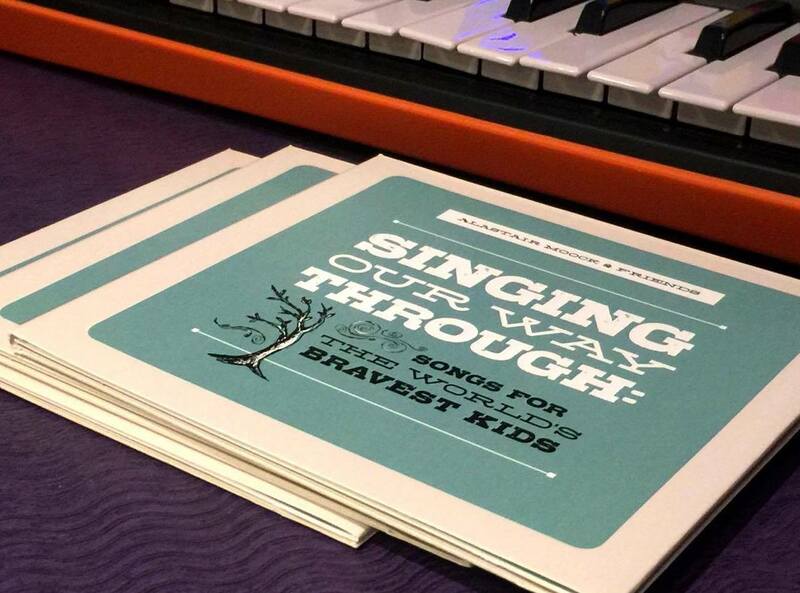 You can read more about the album, request a copy, and watch videos like this one at the album website: www.singingourway.com. 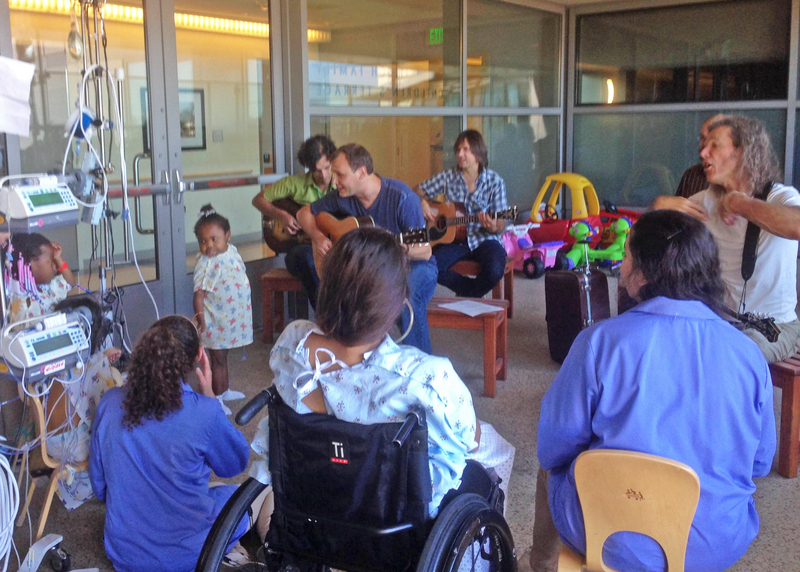 Alastair continues to perform for and write songs with children at hospitals whenever he can. Below, you will find a list of institutions where he has played, along with album press, testimonials, and some examples of Alastair’s ongoing work with kids in treatment. If you’re interested in booking Alastair for your hospital or institution, please contact his agent Stephanie Rothschild by email or at 212-421-0592. 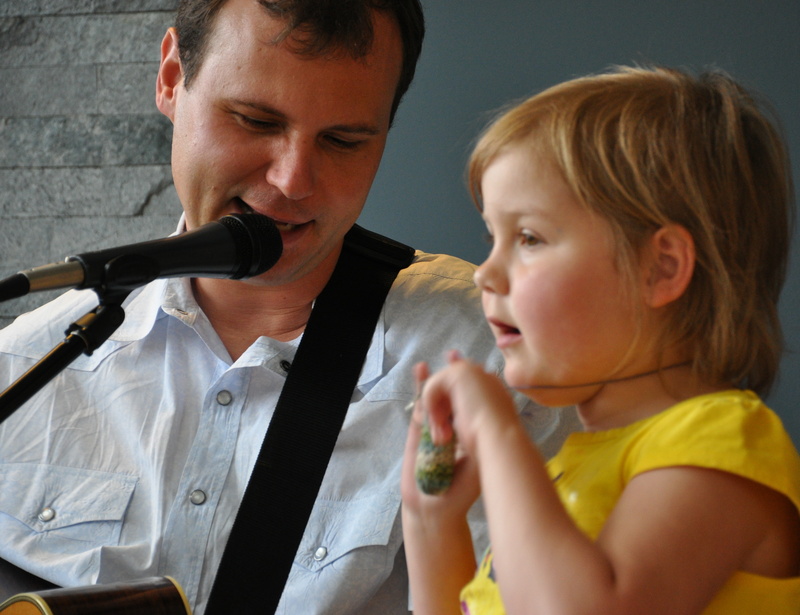 Singing and writing in hospitals began for Alastair with a very specific and personal experience with his own daughter. It has expanded over the years to include many, many more children at hospitals and other institutions all around the country. Most of this work is, by necessity, proprietary and private. But below is one example of a song Alastair wrote for an extraordinary young boy named Garrett (whose story later went viral). Alastair met and played for Garrett at his bedside in 2018. A short time later, as Garrett’s health was declining, the hospital asked if Alastair would consider writing a song to lift his spirits. *For the much longer list of hospitals and institutions where copies of “Singing Our Way Through” have been distributed, click here. Alastair also performs as a roster member of Pickleberry Pie Hospital Concerts for Kids and TAFFY Presents.